Working with a real estate agent who is familiar with an area gives you an instant leg up on the competition. If you are serious about buying a home, hiring a successful real estate team to guide you through the complicated process is worth every penny. The Dan Holt team is the most successful real estate agency in Southwestern Missouri. If you want the support of a team with experience and the knowledge to get you into the right home, Dan Holt and his team are it. Our team has had a lot of success getting our clients into their dream homes in Fair Grove, Missouri. If you are interested in a small-town feel while remaining close to a metropolitan area like Springfield, the Dan Holt team can help. 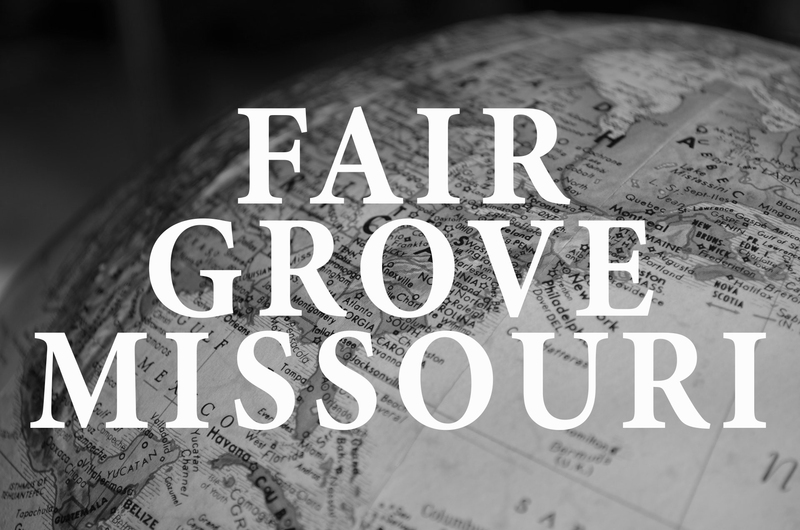 Learn more about what Fair Grove has to offer and why you may find your next home purchase in the Fair Grove area. Fair Grove, Missouri could be the ideal location for your next home. Not only does it offer an excellent location close to Springfield, Missouri, but it allows you the small-town, close-knit community feel that comes with living in a more rural location. You can have the best of both worlds choosing Fair Grove as your next hometown. If you want to start or raise a family, Fair Grove offers an excellent school system. Fair Grove High was recognized in the National and Missouri High School Rankings for 2017, scoring higher than 80% proficiency in both Math and English, 10% higher than the state average. They offer advanced placement classes and have an excellent 15:1 student to teacher ratio. If education is important to your family, Fair Grove is a great choice for your next home. There are lots of events to keep you entertained in Fair Grove as well. The Historical Society hosts several events throughout the year at the Boegel and Hine Flour Mill-Wommack Mill since the mill was listed on the National Register of Historic Places in 1986. In addition, the Fair Grove Heritage Reunion is held every year during the last weekend of September. Begun in 1978, this festival has continuously grown and is now a major attraction with an estimated 80,000 in attendance in 2012. If you are in the market for a new home, the Dan Holt team could be the real estate partnership you need. Contact us today to start on your journey to becoming a homeowner or if you simply have questions. The Dan Holt team looks forward to working with you! Click here for homes available in Fair Grove.